The volcanic origins of the archipelago of Madeira make it a true paradise for hikers in search of wild, untamed landscapes. Madeira's multiple levadas, the island's network of irrigation canals, offer unforgettable walks through tunnels dug into the mountains and along hidden forest paths. Its subtropical climate allows the island to enjoy mild temperatures all year round. 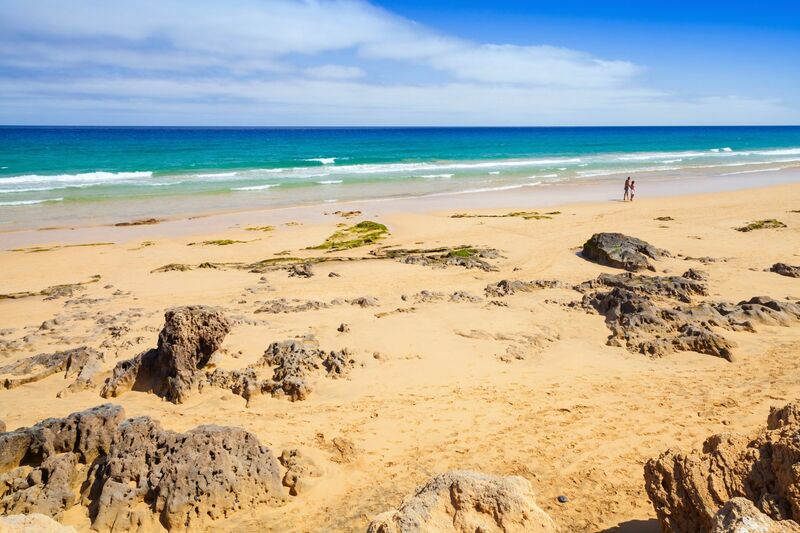 Those looking for miles of sandy beaches should head to Porto Santo. The island is still untouched by mass tourism, only a few hotels have set up shop. For lovers of sailing, touring the archipelago is a real treat. Arrival into the bay of Funchal, nicknamed the 'pearl of the ocean' is a magnificent sight. One of the main activities of the archipelago is fishing and game fishing trips out to sea can be arranged from Funchal. This is something you must include on your itinerary if you want to make the most of the sea and spend some quality time with the locals. 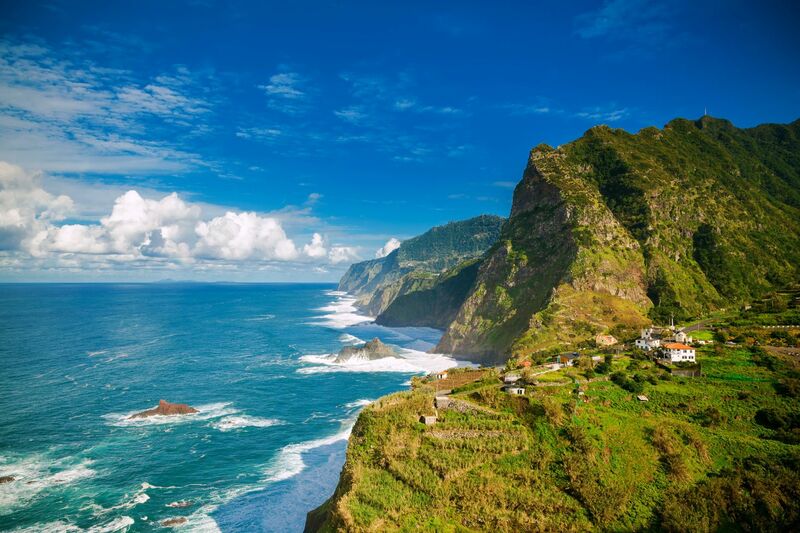 Contrary to its reputation, Madeira is not an island simply for lazing around. Its volcanic origins explain the presence of the high mountains and their valleys from which paths follow the irrigation canals known as levadas. To cover any part of the 1,400 miles of treks available make sure you have packed some good walking shoes! The trek leading to the summit of Pico Ruivo requires a lot of physical effort but is instantly rewarded by the stunning view from the top. +Cost of living: as on mainland Portugal, the cost of living is lower than in the UK. +The subtropical climate, which is only a few hours flight away, allows you to enjoy the sun even in the middle of winter. -The luxury hotels, night clubs and glitz take away from the natural beauty of Funchal. -Given the size of the archipelago, it is difficult to avoid noisy tourists and partygoers of all nationalities. The island of Madeira lives to the rhythm of festivals such as the flower festival or carnival and the inhabitants underpin absolutely this joyful atmosphere. For example, if you go up to the top of Funchal, you will find, next to its church, the departure point of a rather amusing escapade: the chance to get back to the bottom of Funchal in an unexpected form of transport - a wicker basket supported by two men! Although there are many meat dishes, especially in the form of meatballs, Madeira is the ideal place to enjoy all kinds of fish. Specialities include sea food, swordfish and tuna steak and are all accompanied by corn fritters. For dessert, the honey cake bolo de mel is a must. All washed down with a glass of Madeira wine of course! Find weekly weather forecasts for Madeira . Different criteria make it possible to predict with precision the best time of year to go to Madeira . A comprehensive weather score, made up of temperature indicators, bad weather predictions, sunshine levels and wind speeds, will allow you to choose the activities best suited to the weather conditions and therefore make the most of your holiday in Madeira . Local handicraft is much the same as that of mainland Portugal (such as pottery) but you can pick up some magnificent examples of embroidery and lace and all sorts of wicker objects and furniture. Shops are open from 9:00am until 1:00pm and then again from 3:00pm until 7:00pm during the week and from 9:00am until 1:00pm on Saturday. Our journalists' reviews for you 88 hotels Portugal . Take a look at our hotels, their facilities or their value-for-money score according to your departure dates so that we can find the best offer to suit you Portugal . Book a hotel Portugal it's never been so simple !